It’s the nitty gritty, the heart of the matter. It’s substance, the bottom line. And when you’re a business leader looking for growth, you’d rather just get to the point. Crux KC merges executive-level marketing and business strategy to provide a simple, smart and affordable marketing solution for our clients. Basically, we serve as the conduit between you and your desired marketing outcomes. Already have a marketing team? We’ll work with your existing staff to add depth and strength so you can accomplish your strategic goals. Going it alone? No worries! We’ll serve as your in-house marketing team, building connections with outside vendors and managing those relationships and projects so you can stay focused on the big picture. Prior to founding Crux, Melea was the senior vice president of growth for Trozzolo. She also served as the chief marketing and membership officer at the Greater Kansas City Chamber of Commerce. She led the sales and marketing efforts, representing more than 2,500 business in the Greater Kansas City region. Under her leadership, the team also spearheaded the Chamber’s rebrand and helped create an image for the region’s business community that’s admired and respected in Missouri, Kansas and beyond. In 2010, Melea was named a KC Business Influential Woman. She currently serves on the boards of the Kansas City Repertory Theatre, Junior Achievement of Greater KC, the board of trustees for the National MS Society Mid-America Chapter, the marketing committee for United Way of Greater Kansas City and the patrons committee for the Women’s Foundation of Greater KC. Melea holds a bachelor’s degree in business management with a minor in marketing from Webster University in Kansas City, Mo., and has recently embarked on the Rockhurst Helzberg Executive MBA program, class of 2020. As someone who always sees the potential of new opportunities, Serri has been pivotal in stretching and growing organizations – from startups to Fortune 500 – into higher levels of performance. With a background in communications, risk management and legal, she creates business cultures founded on transparency, business continuity and ongoing improvement. She’s recognized as a trusted advisor to boards of directors, C-level executives, corporate partners and other stakeholders in translating deep industry insights and straightforwardly outlining the operational, legal and regulatory impact of strategic decisions. Most recently, Serri served as chief strategy officer, chief administrative officer, and general counsel for CommunityAmerica Credit Union, where she focused on digital strategy, data analytics and artificial intelligence. She concurrently served as the chief legal officer for the parent company and its subsidiaries. Previously, Serri held the position of director of investor relations and communications for American Italian Pasta Company. She also served as the vice president and a senior financial communications practice leader for FleishmanHillard. Earlier in her career, Serri served as senior counsel of the Arizona Corporation Commission’s Securities Division, where she litigated securities fraud and directed investigative case teams of law enforcement investigators and accountants. Serri has been recognized as one of Midwest CEO Magazine’s Most Influential Women throughout Missouri, Kansas, Nebraska and Oklahoma, and has been named to the Kansas City Business Journal’s list of “Women Who Mean Business.” She holds an economics degree and JD from the University of Arizona and is a member in good standing of the Kansas State Bar, The Missouri Bar and the State Bar of Arizona. Fueling inspired brand communications with strategy, creativity and authentic insights into consumers. In today’s technology-driven world, marketers must traverse an often-bewildering barrage of decisions. Which social mediums to use? What are best practices across digital mediums? How to leverage SEO? But while the digital landscape is ever changing, one constant remains. That’s the authentic human insight that influences how we feel, think and behave. Today, Jean Graeff brings that perspective and lifelong passion for building successful brands to the CruxKC team. She’s known for bringing analytical rigor, savvy business think, and inspiring creative to every challenge. 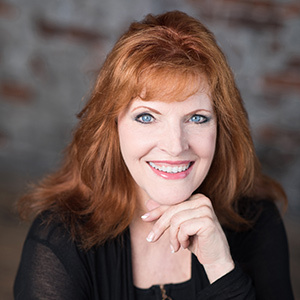 After earning a BA in Communications from the University of Missouri, Jean got her early advertising chops as broadcast producer and print copywriter. She soon joined ad agency VML, playing a core role in its growth from a 30-person digital boutique to a global agency of 2,000+ employees. Jean’s deep experience with both traditional and interactive disciplines has bolstered success for clients including global software leader SAP, AMC Theatres, FedEx, Cerner, Northwest Airlines, Colgate-Palmolive, Blue Cross and Blue Shield, Bayer Healthcare, and YRC Worldwide. She takes pride in a long track record of driving the success of small and large businesses by understanding the nuances that make the difference. It all comes down to storytelling, after all. 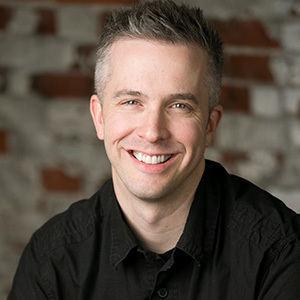 Matt has spent his entire career doing just that, as a reporter and magazine writer, a public relations executive and a marketing professional. Because when the story is told the right way, the message can be extremely powerful and incredibly effective. With a background in journalism, he’s spent a number of years leading internal p.r. and marketing teams, working with outside vendors to build brands. He’s also worn the agency hat and helped guide clients down the path to better communication. Prior to joining Crux, Matt led a digital editorial team at Creelio, assisting executives with building their personal brand – and, by extension, their company brand – in the online space. Before that, he served as managing editor for a publishing company, leading writers, editors and designers in the creation of nationally distributed magazine titles and online content. He also has more than 13 years of experience guiding internal marketing teams in the health care and financial industries at various organizations. Media relations, marketing strategies, brand management—all tools he’s used to tell powerful stories that make a difference. Matt earned a Bachelor of Journalism degree from the University of Missouri. 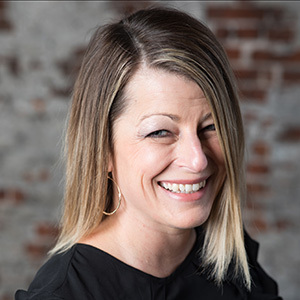 Jessi Bixler is a formative, business-savvy marketer with more than a decade of combined client-side and agency-side B2B and B2C experience. She’s known for delivering or exceeding revenue targets on time and within budget through thought leadership and a healthy obsession with customer-centric methods. She radiates high energy, commitment and curiosity, which allows her to thrive in environments of change. She has a strong working knowledge and industry experience in manufacturing, nonprofit, technology, packaging, health care, construction and engineering. Having spent time on “both sides of the fence,” she’s laser-focused on crafting and implementing the best strategic plan to meet the business goals. Jessi balances her professional life with a commitment to serving the community. She most recently completed a two-year term with the Kansas City Data-Driven Marketing Association (KCDMA) where she was responsible for organizing and facilitating two of the organization’s key events. Currently, she’s heavily active with Kansas City-based MOCSA (Metropolitan Organization to Counter Sexual Assult) as a Young At Art Committee Member as well as a Speaker’s Bureau contributor. She’s also a registered yoga instructor and regularly teaches trauma-informed classes for survivors of various types of trauma. Together with her husband, Chad, they started a foundation with a mission to support organizations whose purpose is to provide education and promote the prevention of sexual violence. 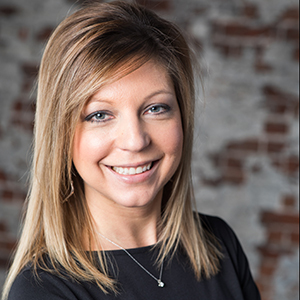 Over her career, Jessi has volunteered in various capacities for well-known charities such as Susan G. Komen, Pancreatic Cancer Action Network, United Way, Crittenton Children’s Center, Big Brothers Big Sisters, and Hope House. Jessi holds a Bachelor of Arts and Science degree in interactive digital media – visual imaging from Northwest Missouri State University. 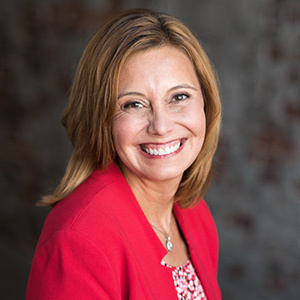 Jessica Cox is a resourceful, experienced marketing leader who combines big-picture, visionary marketing planning with a sharp focus on the details that generate growth and results. Her passion for digital marketing and how it can transform a business drives her to deliver innovative marketing strategies for her clients. 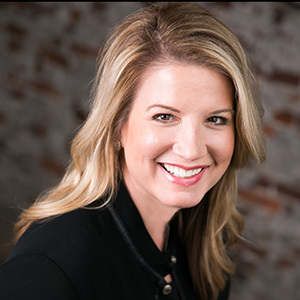 Her background includes strategic marketing successes at industry-leading companies like AMC Theatres, Cerner and H&R Block. 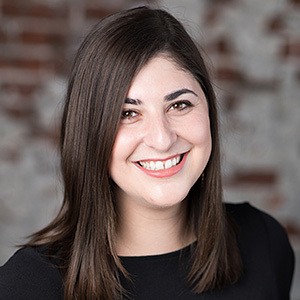 Jessica puts her wide-ranging expertise in integrated marketing, loyalty marketing and multi-channel marketing to work for businesses of all types and sizes. Kara has always relished the written word. Prior to joining Crux, she worked as a freelance copywriter, serving clients in the nonprofit, legal and human resources fields. As a self-proclaimed recovering journalist, Kara’s experience in the news business comprises everything from breaking news and crime to development and education. She has been published in USA Today, The Washington Post, The Sentinel newspapers and The Gazette. As marketing manager, Kara specializes in crafting compelling content for blogs, press releases and social media. She’s committed to telling the stories that matter, executing effective marketing plans and implementing best practices that lead to results for her clients. Though the form of her writing has changed shape throughout the last decade, Kara has an unwavering dedication to her craft and capturing the unique voices of her clients. Hailing from the great state of Maryland, Kara is passionate about both crab cakes and football. When she isn’t crafting content or assessing analytics for her clients, Kara can be found coffee crawling through Kansas City or at the park with her dog, Roscoe. Kara earned a Bachelor of Arts in journalism from the University of Maryland, College Park with a certificate in LGBT studies. As an aficionado of the English language, Stacy boasts a voracious reading habit and counts it one of her greatest accomplishments to have instilled the love of reading into her own children. This passion and her intuition of reading an audience drives her commitment to excellence in using language to influence audiences with carefully crafted messages. Prior to her return to the professional world, she home schooled her children, taught the core elements of English to both native and non-native speakers, and served in her community as a Children’s Ministry Director during an extensive church revitalization campaign. She has visited every U.S. state and sponsored trips to Costa Rica and Trinidad expanding her cultural awareness. Stacy’s approach to writing is complemented by her collection of diverse life experiences. She has spent the last 25 years gaining perspective on different working practices, building her cultural intelligence and enhancing her ability to read and react to people. With a focus on communicating the spoken and written word, she brings significant value to the bigger businesses of creativity, innovation and cross-functional thinking. 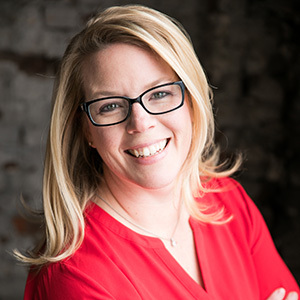 Stacy holds a bachelor’s in both advertising and English from Kansas State University, as well as a master’s in rhetoric and composition from the University of Kansas. 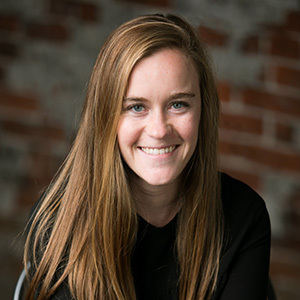 Before joining Crux, Lucy attended the University of North Carolina in Chapel Hill, NC, and worked as a design intern in the athletic department. She also has experience designing for a professional sports organization in Washington, DC, UNC’s campus recreation center, and several non-profit organizations. As the graphic designer for Crux, Lucy handles all visual needs for clients, from one-pager templates and PowerPoint presentations to holiday cards and social media graphics. She works with clients to ensure that their visual brand is fresh and consistent throughout print and digital platforms. She is excited to see how good design can positively affect people’s view and understanding of a company. Lucy earned a Bachelors degree in Media and Journalism from the University of North Carolina-Chapel Hill.